It’s been said a thousand times about a thousand different pieces of bikewear: looks great on and off the bike. I’m going to attempt to write this entire review without using this cliche. 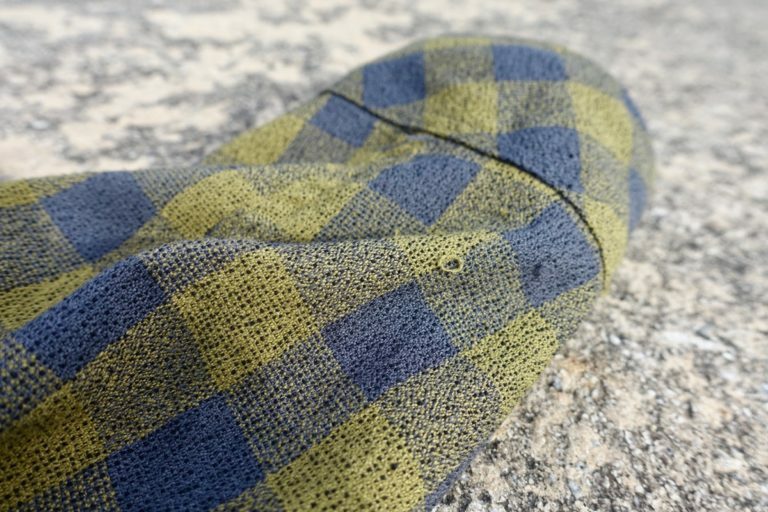 In addition to providing excellent wicking ability, the polyester fabric also does a good job insulating on cool days. Even in the fall and winter, heat management is important for comfort, so Club Ride has built in strategic ventilated panels in the underarms. Not only that, since the jersey is a button-down, the front of the jersey is naturally ventilated between the snaps, and can easily be opened up when temperatures rise. Reflective piping along the sleeve. For many, fall and winter riding means getting on the bike after dark, so Club Ride has included reflective highlights on the jersey. A lens wipe is included underneath the front fly. There’s a left breast pocket and a right rear pocket for stashing electronics or keys, and both are zippered. The zipper is basically hidden which gives the jersey a nice clean look, but in practice I find the pockets difficult to access in part due to the tiny zipper pulls and fine teeth. 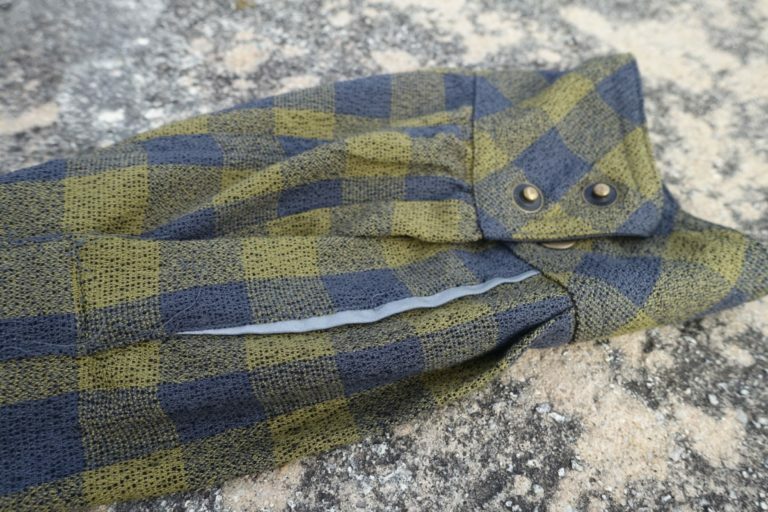 I’ve worn the Shaka Flannel on many rides this fall and winter, and the only problem I’ve run into is the material tends to snag on grabby branches. Fortunately thanks to the pattern, the snags are only noticeable upon close inspection. 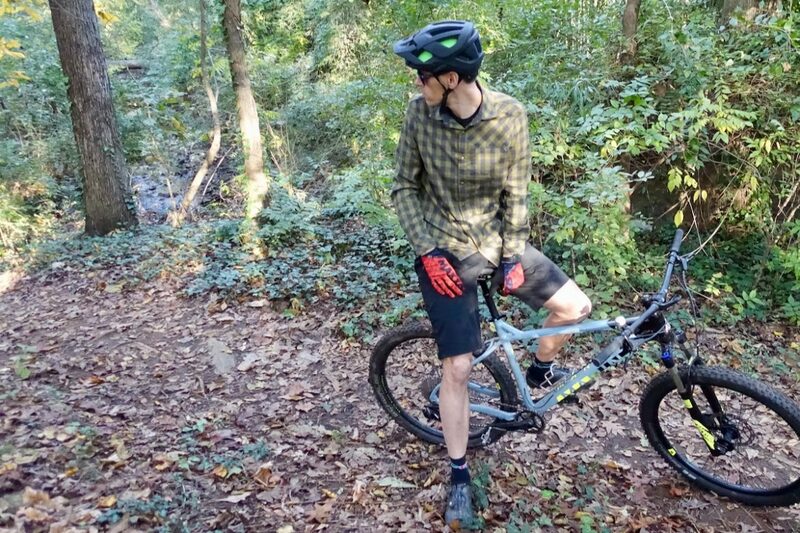 In terms of the usable temperature range, I’ve found the jersey to be comfortable on both short- and long-pant days, at temperatures as high as the 60s and as low as the 30s with a short-sleeve base layer underneath. Pairing the jersey with a vest is another option when temperatures dip below freezing. Clockwise from top: On the trail; eyewear wipe; ventilated underarms. For those who are keeping track, pretty much every performance feature mentioned above is actually hidden on the Shaka jersey. Truthfully, it seems a little weird to call it a jersey and not just a shirt. I routinely wear the jersey to work, which maybe isn’t saying a lot given how casual the Singletracks office is, but I’m sure most could wear this at their place of employment. I’m a big fan of the snaps, both for how they look and how they function. 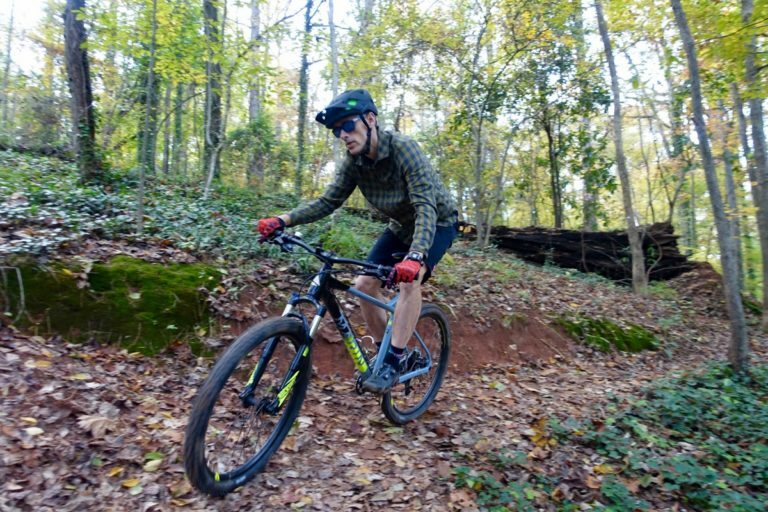 Snaps make it easy to open and close the jersey on the bike, and the snaps on the sleeves make it simple to convert this long sleeve into a short sleeve, and back again. My sample is size medium, which fits me well both in terms of length and girth. In the past I’ve found myself wearing a size too large in Club Ride clothing, so if you’re in between sizes or unsure, I suggest going with the smaller size. The Club Ride Shaka jersey retails for $89.95 and is available in sizes small through XXL. 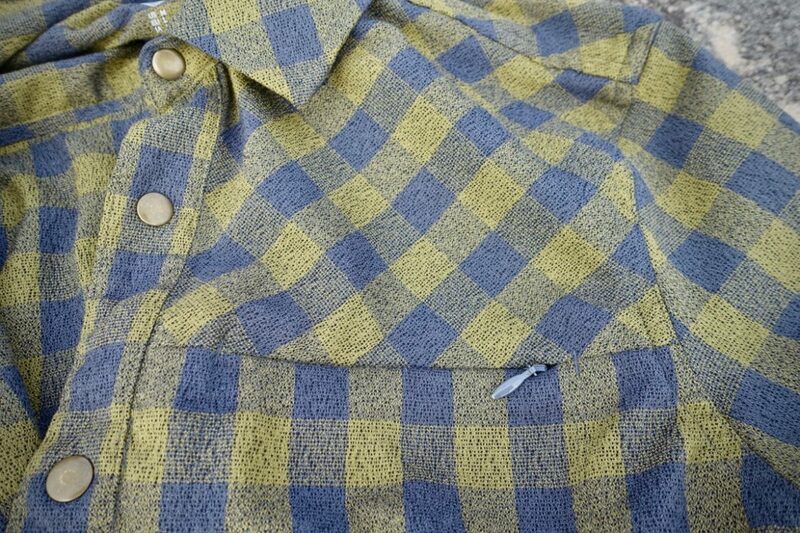 The brand also sells a women’s flannel called the Liv’n. The remedy’s trail-eating suspension and geometry inspires a spirited, almost-childlike ride.